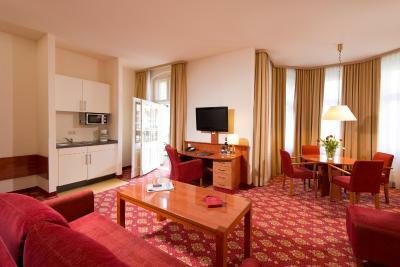 Lock in a great price for Hotel & Apartments Zarenhof Berlin Prenzlauer Berg – rated 8.1 by recent guests! 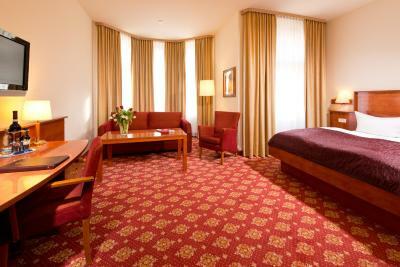 Friendly staff, excellent breakfast, great room and really comfortable bed. 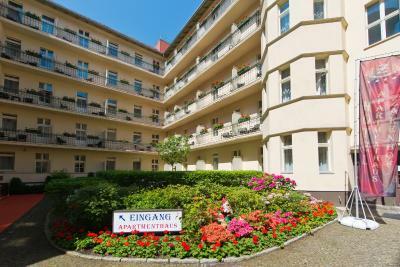 Great location near Ubahn... But really quiet. 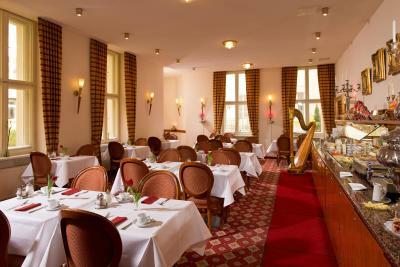 This hotel is in East Berlin and in a wonderfully eclectic neighborhood that was very safe. I jogged in a park 2 minutes away and ate fabulous Vietnamese food in the restaurant next door.. 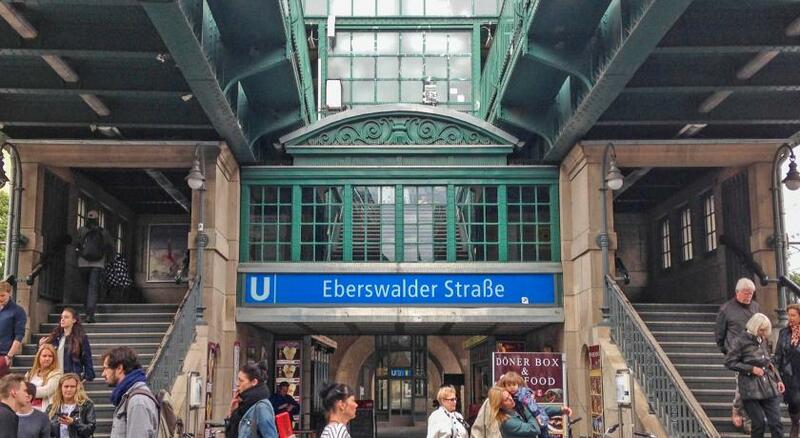 The best part is it’s across the street from a Ubahn station, Eberswalder, that is on the U2 line that takes you directly or connects to anywhere you want to go in Berlin. Incredibly convenient. Buy a pass for the time you’re there and you never have to worry about tickets after that. Breakfasts were delicious and lots of seating available. It was really quiet considering how close it is to a very busy street and overground railway! Up in the attic, so no views but bed and bathroom were great. Breakfast was good and varied. 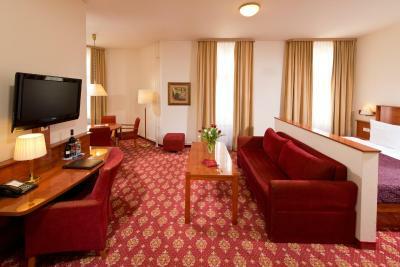 Upon arrival we were upgraded to a deluxe room which was spacious and very comfortable. The member of staff who checked us in was friendly and helpful. Very nice personnel speaking Russian, always ready to help. 2 minutes to the underground and it’s the second line, so at night it’s not noisy at all. Ideal location, hotel was very clean would recommend anyone to stay here. 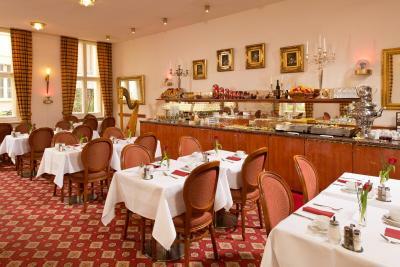 very quite excellent location, only had coffee but breakfast looked great. 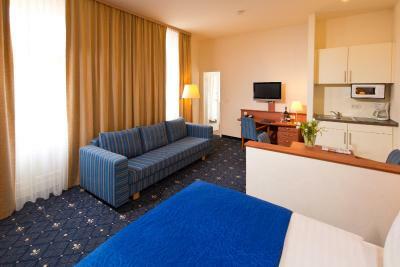 Warm, clean and comfortable room. Could be as independent as you wanted, especially with a microwave and basic cooking facilities (which we didn’t use apart from the kettle and fridge). 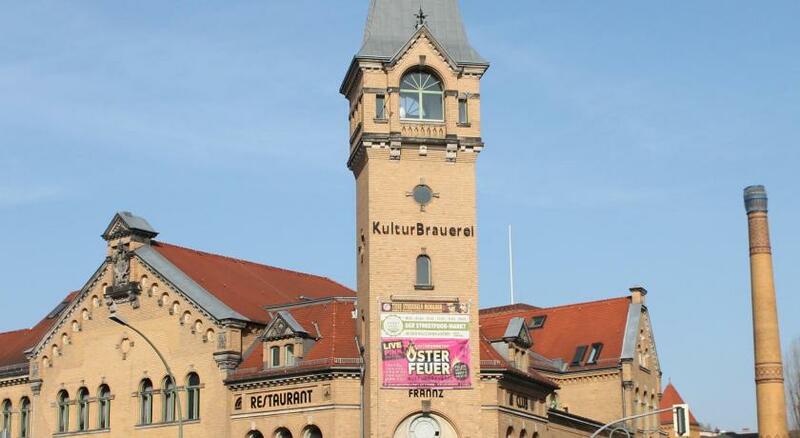 Great location for visiting Berlin. 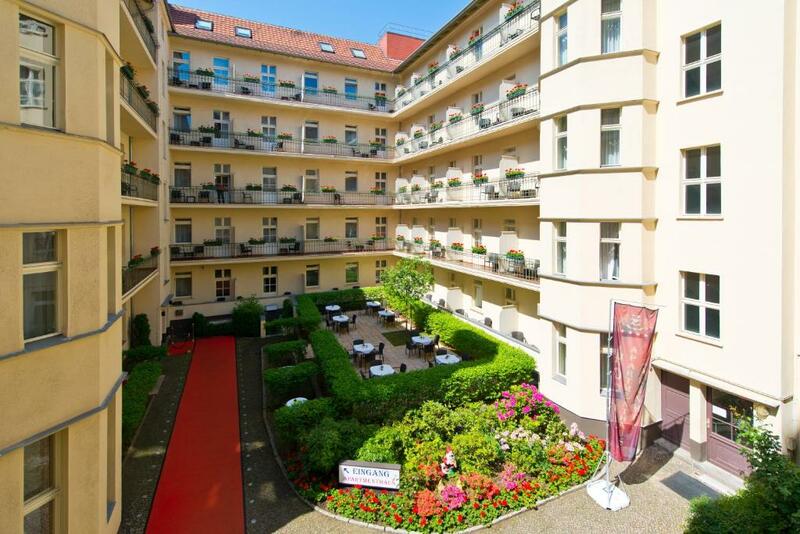 Hotel & Apartments Zarenhof Berlin Prenzlauer Berg This rating is a reflection of how the property compares to the industry standard when it comes to price, facilities and services available. It's based on a self-evaluation by the property. Use this rating to help choose your stay! Inspired by Czarist Russia, this hotel occupies an historic Art Nouveau building in Berlin's trendy Prenzlauer Berg district. 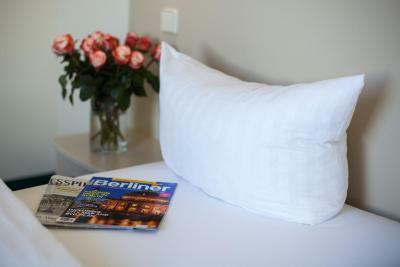 It offers modern accommodations, free Wi-Fi, and bike rental. 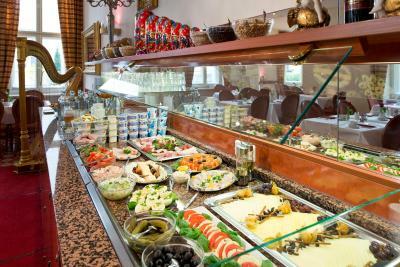 A rich Russian breakfast and Russian specialties such as blinis and caviar are offered at the hotel. 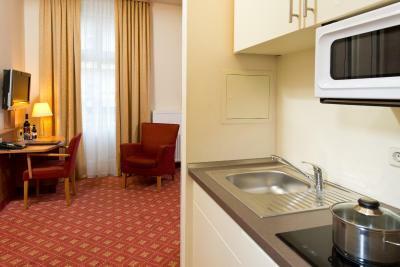 The rooms, suites and apartments are easily accessed by a elevator and include a flat-screen TV. Some come with a kitchenette, seating area and balcony. 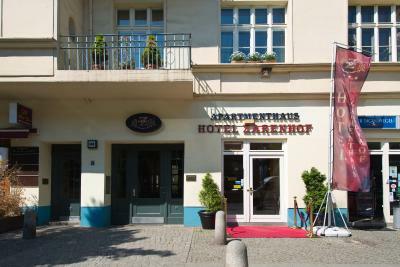 Hotel & Apartments Zarenhof Berlin Prenzlauer Berg is just a one-minute walk from the U2 Eberswalder underground station, while Berlin main train station is just 2.2 mi from the property. The nearest airport is Tegel Airport, 6.8 mi away. 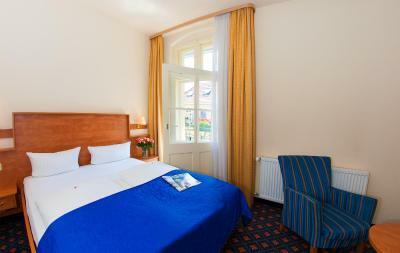 When would you like to stay at Hotel & Apartments Zarenhof Berlin Prenzlauer Berg? 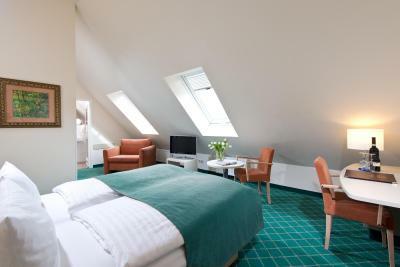 The rooms are located in the attic or in the through-building, according to availability. Please note that there is no balcony. 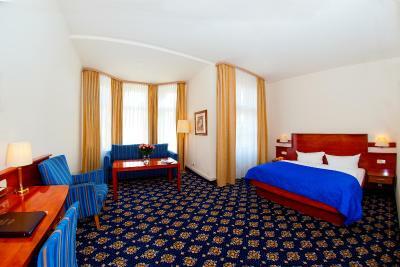 Bright room with flat-screen TV, free Wi-Fi and modern bathroom. 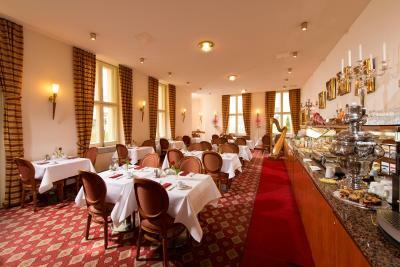 Please note that the room pictures of this category are example photos. 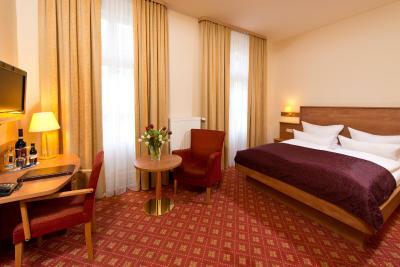 The decoration and room facilities may vary. Spacious apartment with balcony and free Wi-Fi. Features a cozy living area with a sofa and a kitchenette. 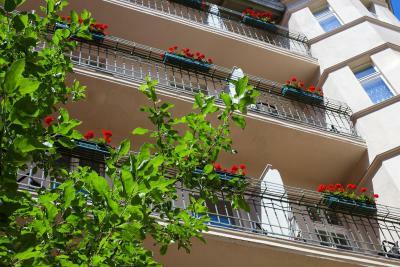 Bright apartment with a balcony overlooking the courtyard. Includes a flat-screen TV, free Wi-Fi and modern bathroom. 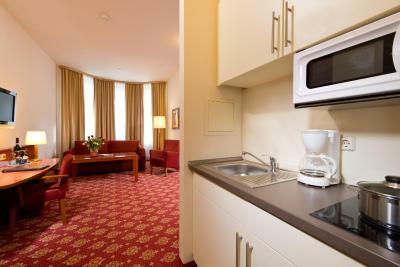 A kitchenette with a microwave and a stove are also included. Spacious apartment with balcony and free Wi-Fi. Features a cozy living area with sofa and a kitchenette. This room rate is based on 3 guests. Maximum occupancy is 4 guests (see Hotel Policies for prices). 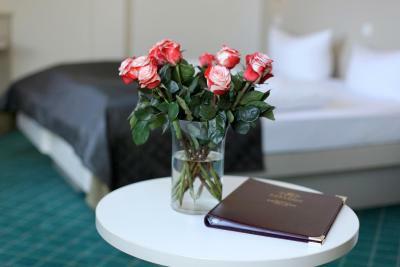 House Rules Hotel & Apartments Zarenhof Berlin Prenzlauer Berg takes special requests – add in the next step! 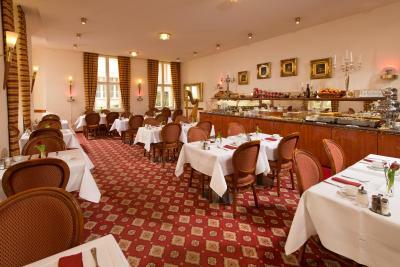 Hotel &amp; Apartments Zarenhof Berlin Prenzlauer Berg accepts these cards and reserves the right to temporarily hold an amount prior to arrival. 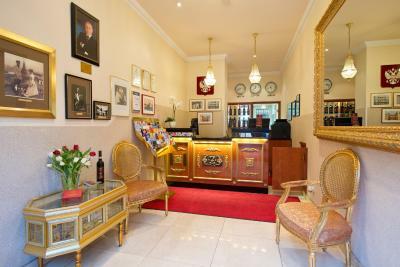 Hotel & Apartments Zarenhof Berlin Prenzlauer Berg accepts these cards and reserves the right to temporarily hold an amount prior to arrival. Please note that an Umweltplakette (fuel emission sticker) is needed to drive in central Berlin. Information is available at reception. 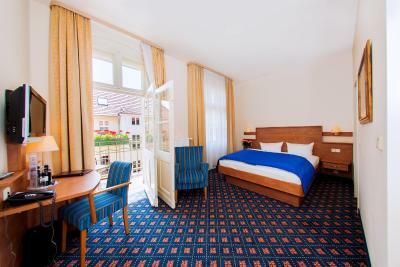 Please note that extra beds and cots are only available on prior request and must be confirmed by the accommodations. Breakfast is not included in the rate for guests staying in extra beds. 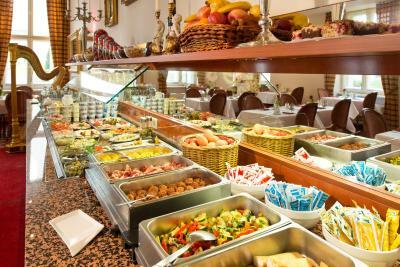 Breakfast is available Monday-Friday 07:00-10:00, and on weekends from 07:00-11:00. 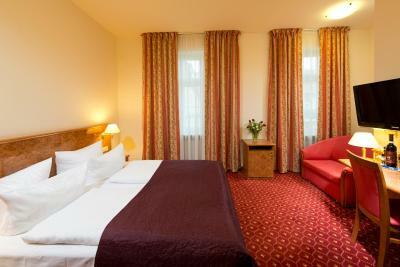 Please note that the bed configurations of the booked room is a preference and not confirmed. The property will do the best to provide preferred bed configuration. However, it is subject to availability. Friendly staff, ideal location and very clean. 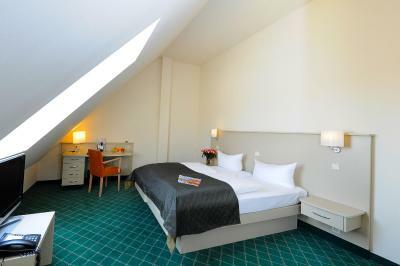 Quiet and large room, nice beds, great location. Nice breakfast. Wifi is absolutely terrible and inconsistent...also, early in the morning, the hot water is not always available! Place and location are amazing, the bed is comfortable and warm. There was a lamp in the room at the table in the corner that couldn't be switched off. The bed may have had bed bugs because I woke up with a swollen left eye. The service was great. The lady who worked Sunday morning 9.12.2018 looked up pharmacies for me and gave us a great tip to get through security quicker at Schonefeld airport. Lovely! Little distance to center city. Bit cold in the room at night, and especially in the bathroom. Excellent location for public transport and the concert hall.